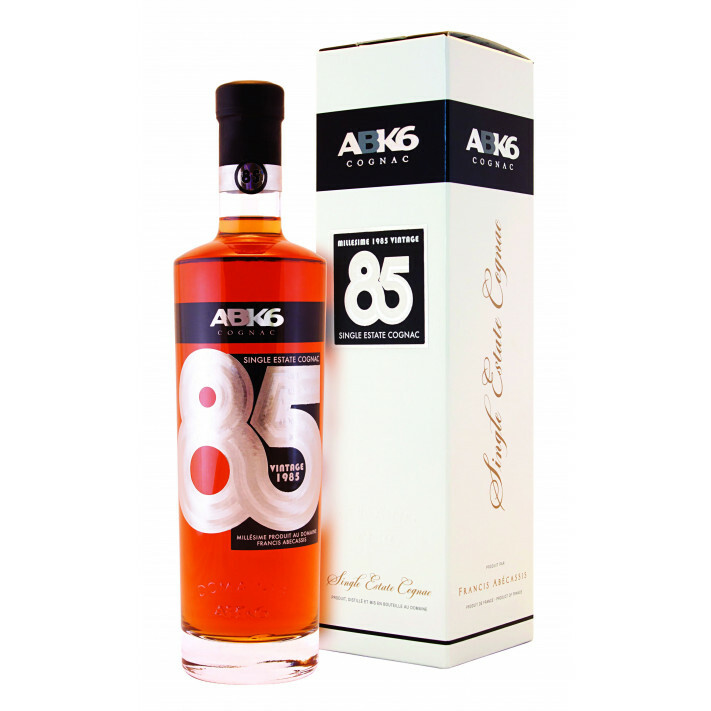 ABK6 Millesime 1985 Cognac has been produced exclusively from 6 small barrels of eaux-de-vies that have been aged to perfection in the cognac house's Chai Paradis. In January 2015 ABK6 bottled a limited run of only 2820 bottles. Owned by Francis Abécassis, ABK6 is a young cognac house based at the Domaine de Chez Maillard near the village of Claix. Its 250 hectares of vineyards produce high quality eaux-de-vie, which are used to blend this contemporary cognac. The goal of this label is to introduce a young and modern spirit to the traditional drink and at the same time value the quality. Not only its name, an abbreviation of the owner’s name, but also its blog, facebook and twitter pages show the target group of the company. ABK6 owns its own brand as well as the brands Leyrat and and Réviseur. Together, the three brands of the company have been awarded over 60 awards in the past years.